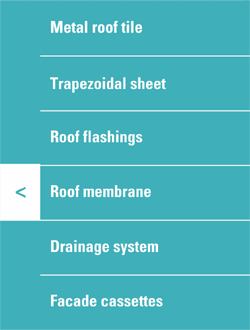 The RUFSTER roof membrane picks up the condensation formed under the roofing sheets and discharges it in the drainage system thus protecting the thermal insulation of the roof from the negative effects of exterior moisture. 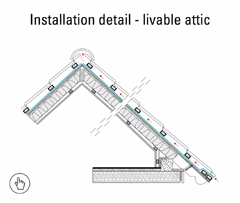 The micro-perforations on its surface allow vapors to pass outside, eliminating the humidity in the insulation layer. 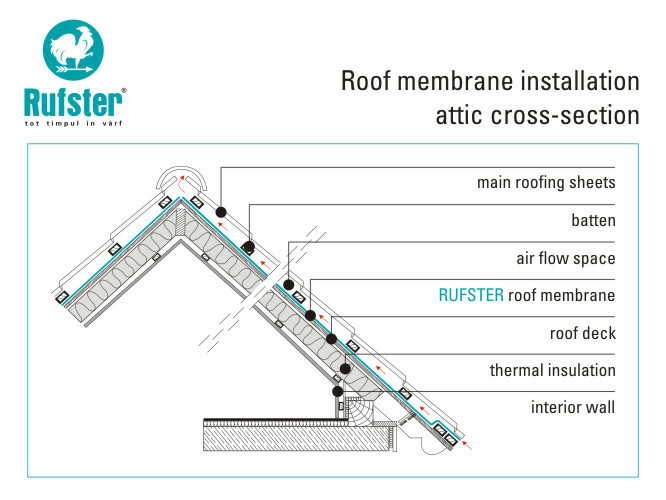 The RUFSTER roof membrane prevents heat loss from the insulation layer due to air circulation. 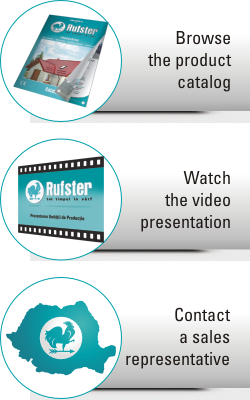 The membrane rolls are available in a single standard dimension of width and length.